Pull cachemire marron, col V, coupe ajustée, finitions bord-côte. 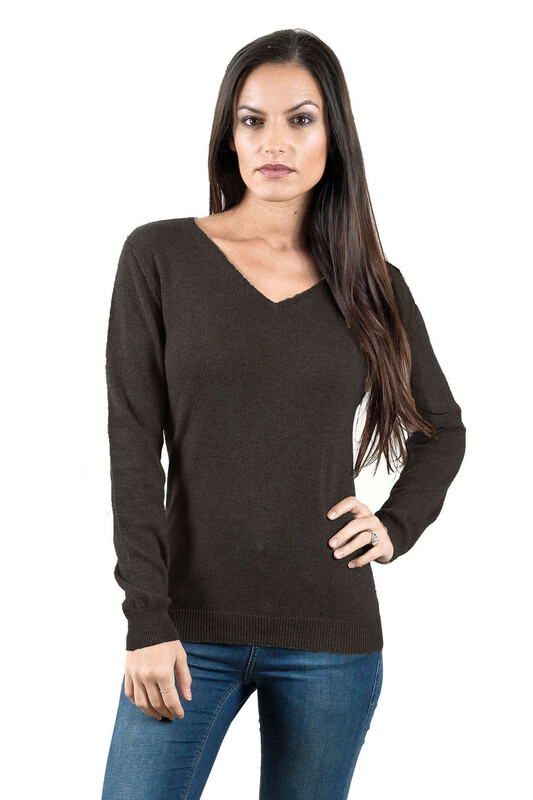 Classic V neck cashmere sweater for women. Stylish and comfortable, the perfect touch daily and all seasons.